The Eurobike is an important moment for bike professionals around the world. It’s also the moment for us to look back on the partnerships we made this year. These 3 french guys cycled along the African coast for several weeks looking for waves never surfed before. 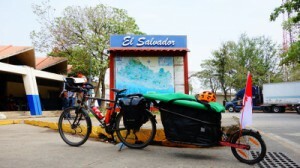 Their STD 100 bike trailers enabled them to carry all their material, up to 70kg each. The result : a web-series of several episodes for all fans of surfing, travelling and cycling as well as a book full of beautiful pictures. Bertrand makes us laugh each month with the details of his bike adventures. He also chose the bike trailer STD 100 to have enough space for his stuff. He decided to go from Mexico to Ushuaïa taking his time to discover each country. We will follow him until 2018. Raid Planète Secours was the project of 2 young firemen who taught first aid to pupils they met along the way, in a partnership with the Red Cross. 4 years later, they tell us all about this trip with nice drawings and lots of pictures in their book that you can order directly online. 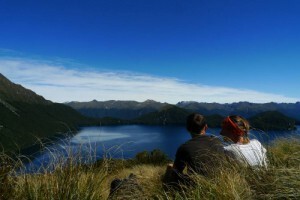 Elodie and Cyril have started on their world tour with New-Zealand this winter. Now they are in Australia. You can follow all their adventures on their website with their trailer KIT L80. Their goal is to come back to essential things and get rid of all that’s not necessary. An article will soon be published in the magazine Carnets d’Aventures about one of our ‘globe-trotters’. We will also follow Elisa and Valentin’s trip in Scotland with their UNO 100. 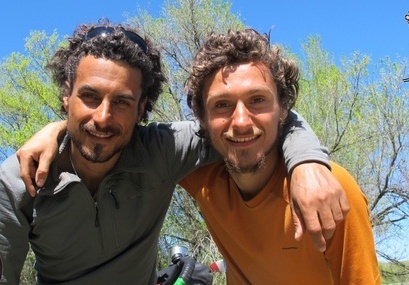 Benjamin and Jean-Charles realized their dream of a trip by bike around the world with their STD 100 in 2012 and 2013. Today they are back with a book about their adventure and they need your help to publish it. Raid Planète Secours is the team of two firemen, real adventurers. 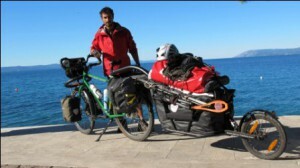 In September 2012 they began their world tour by bike and Aevon trailer STD 100. Personal challenge but also humanitarian action, they used their skills to teach first aid techniques along the way, in partnership with the Red Cross. The “Raid Planète Secours” book will tell you everything about this amazing trip with beautiful pictures. You will feel what is is to be free ! Today Raid Planète Secours need your help to publish their book. From 5€, you can offer them the opportunity to share their bike trip and to take you along in their adventures. Maybe they will also give you ideas so that you can start your own travelling projects. Two Young French guys, aventurers, chose to use their experience of firemen to realize the project RAID PLANETE SECOURS. During 2 years, they will cycle through 30 different countries, where they will teach first aid to impoverished populations, supported by several partners. Aevon Trailers, excited by this adventure, immediately joined the project of Jean-Charles and Benjamin. The two cousins are travelling by bike and their 2 STD 100 trailers, the wisest choice, in terms of reliability and load capacity (up to 45kg, 100litres) for such a challenging travel. Today in Kazakhstan, after 9 months on the road, the two adventurers are travelling to Asia. They need all the support they can get to go to the end of their adventure. Do not hesitate to support them through their website.